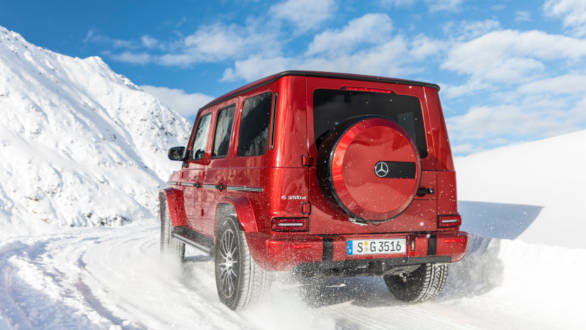 Mercedes-Benz India will be launching a more humble version of its G-Class in India, the G 350 d which will be an entry-level offering for the premium SUV. We at OVERDRIVE have learnt that Mercedes India will launch the G 350 d in November this year. The company dealerships have still not commenced bookings which are expected to start in the coming months. In terms of positioning, the G 350 d will be above the GLS SUV that is priced at Rs 1.08 crore, on road. 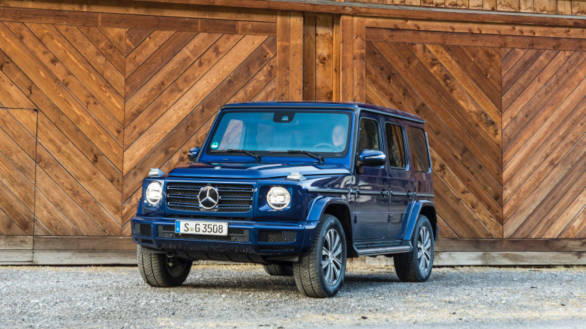 The G 350 d is expected to be priced at around Rs 1.48 crore, substantially lower than its extrovert sibling, G 63 AMG at Rs 2.5 crore, rivalling the Range Rover Sport 3-litre diesel. 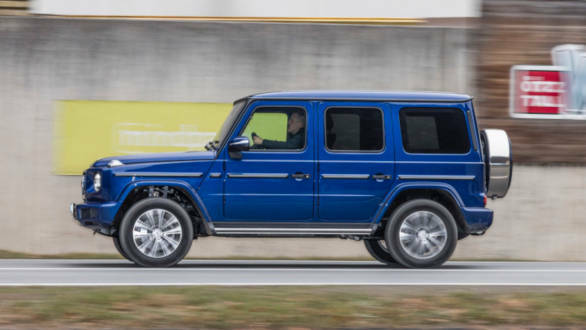 The Mercedes-Benz G 350 d is powered by an in-line six-cylinder diesel that makes 286PS and a peak torque of 600Nm between 1,200rpm and 3,200rpm, and does 0-100kmph in a claimed 7.4s with a maximum speed of 199kmph. Mercedes used the same powertrain in the S-Class as well. This unit is mated to a 9G?Tronic automatic transmission with torque converter. 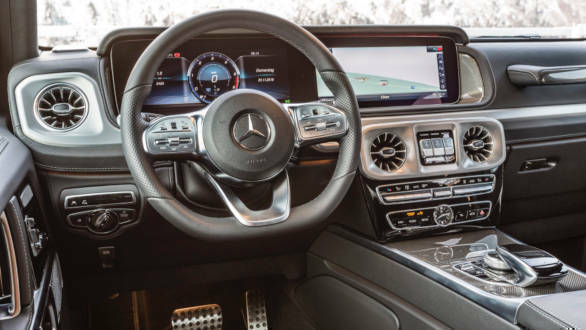 Mercedes claims that the developers used a dedicated software application to shorten the shift and response times of the nine-speed transmission. Additionally, the new transfer case is flange-mounted directly to the 9G-Tronic automatic which is designed to send 40 per cent of the drive torque to the front axle and 60 per cent to the rear axle. Mercedes mentions that the OM 656 engine's emission levels are below the limits prescribed by Euro 6d which is basically the Euro 6 norms for clean diesel engines. This has been achieved with the use of additional selective catalytic reduction (SCR) converter with an ammonia slip catalyst (ASC) in the exhaust tract of the GLE. The SCR catalyst (Selective Catalytic Reduction) reduces the nitrogen oxides (NOx) in the exhaust gas. To this end, an aqueous urea solution is fed into the system. It chemically converts the nitrogen oxides in the exhaust gas, thus releasing ammonia, which reduces up to 80 per cent of the nitrogen oxides into harmless nitrogen and water in the downstream SCR catalytic converter. The filler neck is then integrated into the external tank recess of the vehicle, which makes straightforward filling at the fuel pump possible. In terms of suspension, the components of the double-wishbone front suspension are directly mounted to the ladder-type frame without a subframe. The lower wishbone's attachment points on the frame in Z-direction are positioned as high up as possible. Merc claims that this setup is useful for both, on and off-road driving. The G 350 d offered in international markets comes with premium interiors with leather seats, instrument panel covered in Artico man-made leather and open-pore wood. 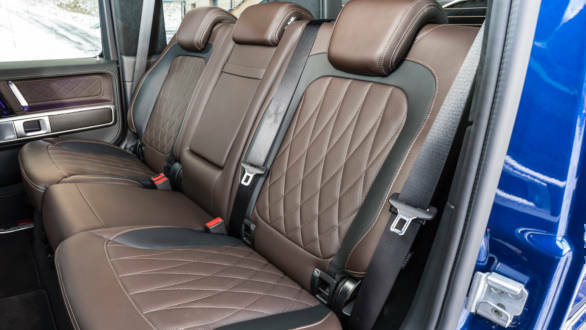 Also, the Exclusive Interior Plus with diamond quilting is optionally available for the G 350 d.